Whether you operate a hobbyist blog or produce content for a well-known brand, it is often repeated that content truly is king in the world of SEO and marketing. Many people decide to focus on creating as much content as possible, while others focus on the quality given to each piece of content. Depending on the audience, the niche and the format of the website or blog, one strategy or another may be superior. Many bloggers are faced with the reality that some of their content hasn’t lived up to expectations, which is only natural. Today, we’ll review some easy ways that you can boost how well this content performs in the future so that you can get more out of the content you already have. If you have focused more on quantity over quality – only to discover that each individual piece of content isn’t performing as well as you expected – then it may be time to combine them! In standalone fashion, some shorter pieces of content fail to paint a bigger picture or provide utility to a large group of people. However, if you have written about multiple aspects of a topic, item or event that relate to each other in some way, a much more thorough piece of content can be created by merging them. Pinging users with more details when possible – especially when you can easily combine older pieces of content to do it – may prove to be a fruitful endeavor, especially if it can be used to create popular forms of content like walkthroughs, how-tos, lists and other similar items. On social media and beyond, there are likely many people in your niche who have already shared comparable pieces with their audiences. Do you know who these people are? If not, then it is time to get to work! By searching manually for a variety of keywords that line up with your content, you’ll be able to find various individuals and blogs who make it their mission to share content like yours. 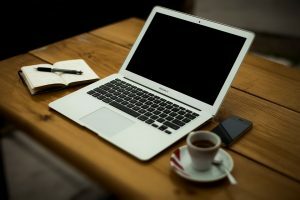 Throughout this process, you may discover potential sources of promotion for several different pieces of content that you’ve written recently or in the past. You can use a variety of other tools to determine which individuals actually share links from other websites, and then pin-point exactly who you need to contact in order to boost backlinks, traffic, visibility and shares for your content. If all else fails and you definitely want to boost the potency of your content, then a paid approach may be a potential solution. Not all forms of content deserve to be promoted in this way, but if you really feel like a piece of valuable content has not received the attention it deserves, then establishing a marketing effort via email, social media or search can yield dividends when targeted appropriately. Not only will you be pinging users with a relevant and specific piece of content, but you will also be boosting overall name recognition for your brand. In many cases, those who come to your website or blog to read one article will read two or three more before leaving (if they find the initial piece of content helpful or entertaining). Let us know about your successes or failure with past content in the comments below! Are You Using the Pingler HTML Encrypter?